Please join us in celebrating the life of Dolores R. Silbas, dedicated mother, grandmother, great-grandmother, wife, daughter and sister. 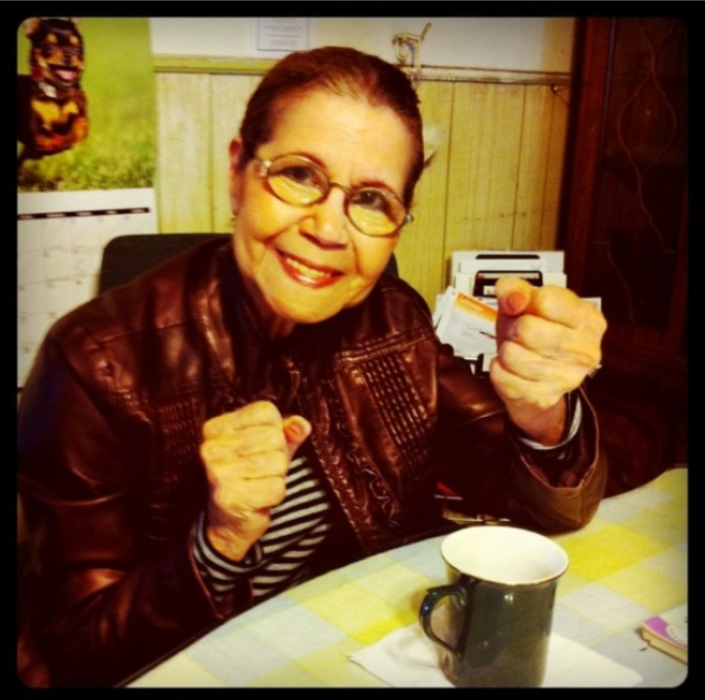 Dolores, 78, passed away on the early morning of February 10, 2019 of natural causes. Funeral service will be held at 10:00 a.m. on Friday, February 15, 2019 at Immaculate Heart of Mary Church, 1100 S. Center Street, Santa Ana, 92704, followed by a gravesite service at Holy Sepulcher Cemetery in Orange, CA. A memorial reception will be at Emerald Court Apartment Homes’ Clubhouse, 21141 Canada Road, Lake Forest, CA from 3-5 pm. In lieu of flowers, plants are preferred and may be sent to Arthur Silbas, 21141 Canada Road, Apt. 14-H, Lake Forest, CA 92630; or donations in honor of Dolores R. Silbas may be made to Reliable Hospice, 4175 E. La Palma Avenue, Suite 100, Anaheim, CA. 92807. Dolores is survived by five children; Helen (Waldo), Cynthia (Gary), Monica (Albert), Ricky (Zoila) and Arthur. Additionally, she is survived by 12 Grandchildren; Jo-Jo (Xanath), Sandy, Mikey, Nick, Marina, Diego, Eddie, Steven, Adriana, Sienna and Sebastian. Great-Grandchildren include Raquel, Ezekiel and Brandy. Lastly, she leaves her beloved dogs, Fluffy, Chiquita and Cookie. Dolores Silbas was born in Caborca, Sonora, Mexico on March 29, 1940 and raised by her mother Esther and stepfather Bill Orlicky. She married Steve Silbas on November 11, 1956 and they had six children including a set of twins. Randy, her oldest twin boy passed away in 2013 and her husband of 53 years passed away in 2010. She had three sisters, Patty and Sandy who are deceased and Arlene who resides in Tucson, AZ. Besides her dogs, Dolores loved tacos, Spanish television soap operas (novelas), the card game Solitary, casinos and word search puzzles.